KIAWAH ISLAND, SC –– The Tulsa women’s golf team is in 16th place after two rounds of the 54-hole Palmetto Intercollegiate on Sunday. Tulsa scored a second-round total of 314 for a 36-hole total of 624 at the par-72 Turtle Point Golf Course. 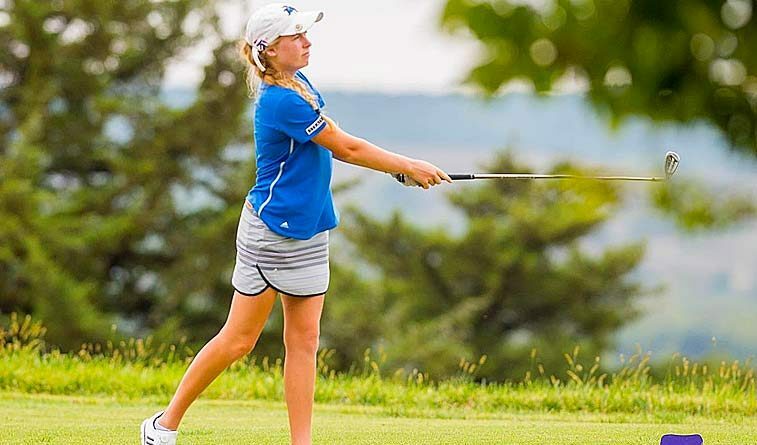 Tulsa junior Anneke Strobach turned in her second straight day of 4-over par 76 to lead the Hurricane. She is tied for 27th place heading into Tuesday’s final round. Johanna Samuelsson is two strokes behind Strobach with a two-day total of 154 for 41st place after turning in a round of 77 today, while Olivia Jackson is in 60th place with a total score of 158 after she shot 77. Freshman Randi Romack is 73rd place with a score of 161, while senior Nikki Marquardt’s total of 169 puts her 86th. Kennesaw State jumped from fourth to first after scoring a round of 290 today for a 590 total. Kennesaw State holds a one-stroke lead over first-round leader Ole Miss heading into the final round. Individually, Marshall’s Shelby Brauckmuller and Diane Lim of Ole Miss are tied for individual honors with identical scores of two-under par 142. Final round action on Tuesday begins at 8:00 am (CT). LAS VEGAS, Nevada – The Oral Roberts women’s golf team shot 300 on Monday and is tied for 14th with Nebraska and South Dakota State at 595 (295-300). UNLV came from second place and grabbed a commanding seven shot lead entering the final round as the Rebels sit at 555 (277-278), 21 under par. ORU’s top three—Rebecca Hnidka, Kennedy Ishee and Beatriz Garcia—combined to shoot just 2 over, thanks in large part to Hnidka’s second straight 70.